Anchored by the flagship KDU Penang University College campus, Utropolis Batu Kawan is Penang’s first university metropolis. It is spread across 44.3 acres of prime land with residences, flexible office and retail spaces as well as a hotel, making Utropolis a self-contained integrated development. 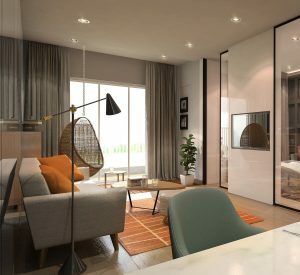 At Utropolis Batu Kawan, you will find residential suites that fit the needs of urban dwellers – compact yet comfortable spaces in the middle of a growing Central Business District with easy access to retail and entertainment outlets. 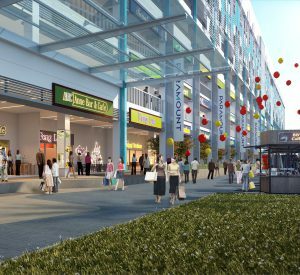 Office and retail spaces at Utropolis help complement the strong industrial base at Batu Kawan. Residences will also be able to enjoy the major shopping and entertainment attractions across the road as well as lifestyle retail shops – everything you need, is just a stone’s throw away. You will find everything you need here at Utropolis Batu Kawan. This flourishing university township is a self-contained integrated development with key features that make Utropolis a coveted property project. Getting to Utropolis Batu Kawan is effortless as it is close to the North-South Highway and Penang 2nd Bridge. Utropolis is strategically located in Batu Kawan which has a strong industrial base and various major attractions like IKEA and Design Village Outlet Mall nearby. Flexible office and retail spaces that grow with your business needs. Connected to KDU Penang University College campus which brings along a lively foot traffic from students to businesses at Utropolis.